Fur pom poms are definitely a thing for the following seasons. Fur accessories found their way back into the runways sewed on luxurious or even street style garments. 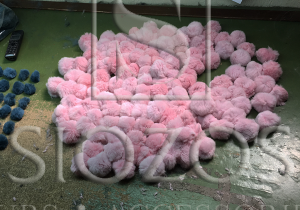 Here at Siozos Furs & Accessories, we love manufacturing fur pom poms by hand, in many different sizes and colours, depending on the client’s needs. 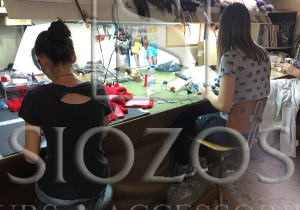 Our young and talented designers follow the latest fashion trends and transfer their inspiration firstly on paper and then on the actual fur itself. 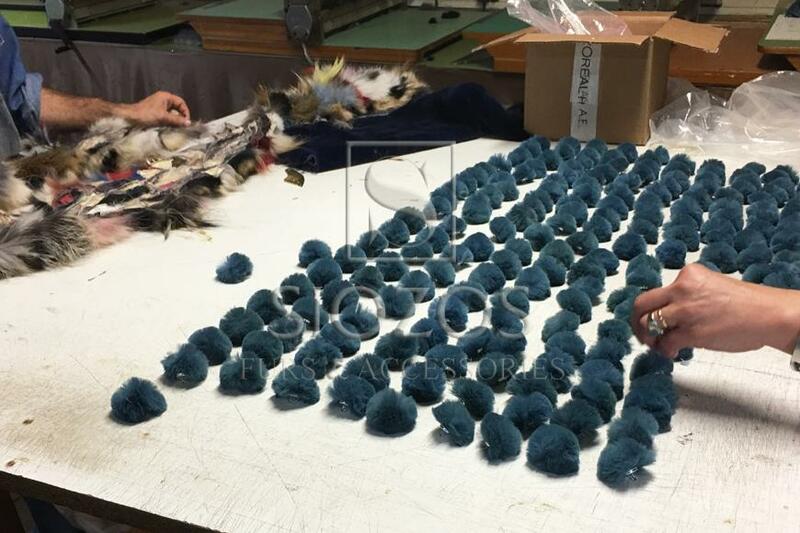 Get a glimpse inside our production department, where we manufacture by hand, the colorful, real fur pom poms! 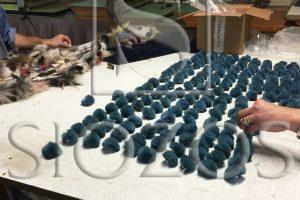 Then, we place them in rows to perform a quality control and ensure that there are no failures. Of course, fur is a natural, renewable and sustainable resource and we follow strict European & global rules during the use of dyeing paints and other materials. 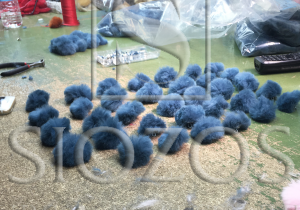 At Siozos Furs & Accessories we get wholesale orders from around the world.